5th Year students from St.Colman’s College getting ready for Lourdes. Thirteen 5th year students from St. Colman’s College are busy preparing for a trip to Lourdes in June with the Irish Pilgrimage Trust. This will be the fourth successive group from the College to go to Lourdes, under the leadership of Fr.Michael Murphy (PP Roundfort) and some members of the St.Colman’s staff, including Mary Egan, Peter Geraghty and Roy Hession. 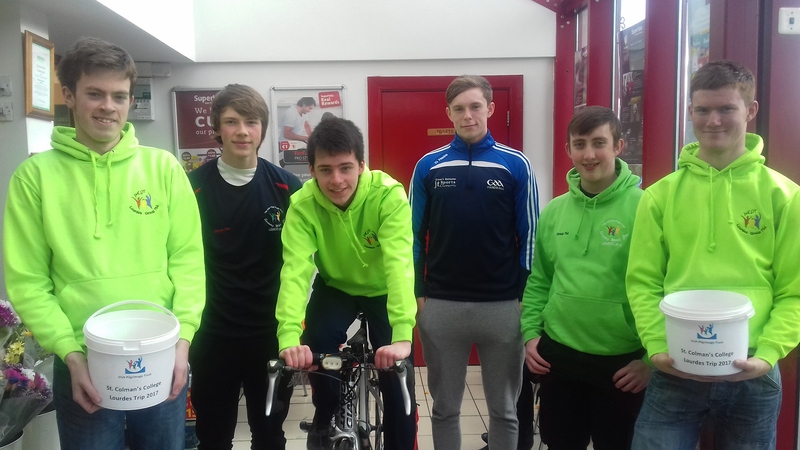 The lads are fundraising at the moment in order to meet some of the costs incurred….this photo shows them involved in a Cyclathon outside Super Valu in Claremorris recently, which was a great success. On Friday night, 7th April, there was a Table Quiz in the Dalton Inn Hotel, with great prizes and a great atmosphere. Everyone was invited to come along to support the lads and have a great night’s entertainment as well! 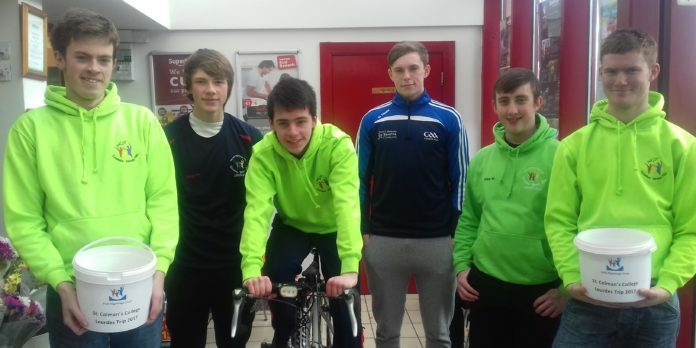 On Wednesday morning 5th April the students were guests on Tommy Marren’s show on Midwest Radio where they outlined some of the activities they are engaged in as they get ready for the trip in June.  They are undertaking a sponsored climb of Croagh Patrick in May as well as various other fundraising initiatives in and around the College itself. While in Lourdes the students will help in caring for disabled adults as part of the Irish Pilgrimage Trust annual trip to the Marian Shrine in the south of France. Many millions of people from around the world visit Lourdes each year. Over the last number of years the students from St. Colman’s College have played their part in going to help others get the most out of their pilgrimage to Lourdes. While there the students stay in the little picturesque village of Bartrez, just outside Lourdes. We wish them well in the weeks ahead as they put the final touches in place before they set off in June.